Fit-N-Trim classes are held at either our climate-controlled indoor facility at 108 Newburyport Turnpike, or at our outdoor ring at 103 Haverhill Street. Note: You may register online for classes up to two days before they are scheduled to start. If you would like to register for a class within two days of the class start date, please call 978-948-2745 to confirm that space is available. Puppy Kindergarten is a six week course that gives puppies an opportunity to learn the basic skills that will make them happy, confident companions. 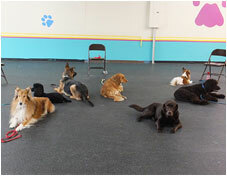 The first class is an introductory session for owners without their puppies. The focus is on skills such as sit, stay, no jump, grooming, and walking comfortably on lead. Puppies also learn how to interact appropriately with other dogs during play time. Puppy Kindergarten offers a gentle, friendly, active environment in which puppies can have fun learning to be good citizens and family members. Puppy 2 continues to focus on building a positive relationship between dog and handler and on the basic obedience commands that every puppy needs. It also adds distractions to ensure that your pup is reliable in real-life situations. Some agility obstacles are also introduced to add variety and interest. An entry level class (Puppy Kindergarten or Basic Manners) or permission of the instructor is required for this class. 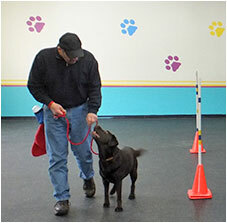 This course is designed for dogs 6 months and older who have not mastered basic obedience skills. 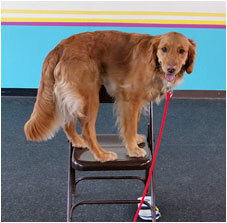 The course focuses on skills such as sit, down, stay, leave it, walking on lead, and come when called. Both voice and hand signals are introduced. The focus, as with all our obedience classes, is on establishing a bond of trust between the handler and the dog. The goal of the course is to help the dog become a good canine citizen and a valued family member while helping the handler establish the leadership needed to be successful. 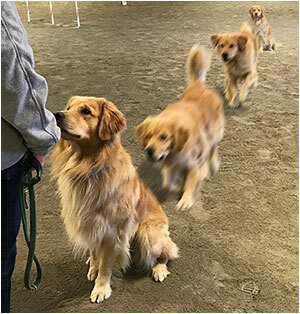 Kris Thober teaches this drop-in class designed to give dogs the practice they need before competing. Please email her (thober@comcast.net) if you are interested as we need to ensure that the minimum class size is met. In Intro to Rally obedience you will work on healing on leash, and you will be introduced to many of the novice Rally signs. 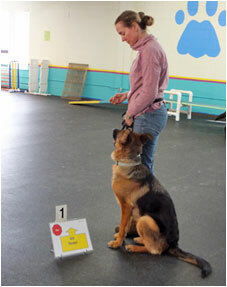 Rally Obedience is a fun and exciting team sport for dogs and their handlers. In Rally-O, dogs and their handlers navigate a course guided by numbered signs, each of which indicates an exercise that they must perform successfully before proceeding to the next sign. The individual exercises are both fun and challenging. All dogs, purebred or mixed breed, may compete in Rally-O. 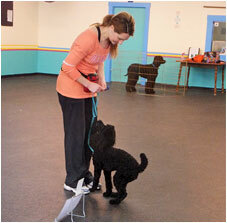 Dogs and handlers work on basic heeling and recall skills. Whether you are interested in competing or just want to spend some extra time having fun with your dog, Rally-O offers a positive, fun environment in which you can sharpen your dog’s basic obedience skills and bond with your dog. *Email or call Karen to inquire about joining this class. This class is for those who want to compete in traditional obedience or rally, but who would also like to just have fun with their dogs while teaching them specific obedience exercises and self control exercises. If your dog overreacts by growling, barking, and/or pulling towards other dogs, strange people, cars, bikes, or wildlife while on leash, behind a fence or at your windows, Reactive Dog class may be the perfect fit. This is a class designed to help you manage your dog’s behavior and help them cope more appropriately in an over-stimulating world. 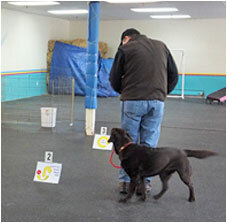 We provide a controlled environment to practice real world skills to curb your dog’s reaction. Emma Schneidkraut began her training career as a training and behavior intern at the Humane Society of Boulder Valley in Boulder, Colorado, where she provided behavior modification to shelter dogs to make them adoption candidates. Emma currently is a training and behavior coordinator at the New Hampshire SPCA in Stratham, NH. At the SPCA she also provides training and enrichment for shelter dogs, group classes, and private training for the public. She also works with a network of veterinary hospitals throughout southern New Hampshire and northeastern Massachusetts providing in-home training and public classes. 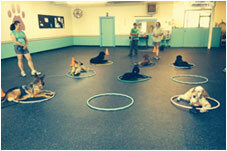 Class requirement: Dogs need to have taken Reactive Dog 1, or have instructor’s approval to be in this class. NOTE: This class meets for 6 sessions, but will skip March 23 and April 6. Enjoying off-leash walks is one of the joys of dog ownership, and a reliable come-when-called could even save your dog’s life some day. This class is designed for dogs who do not come when called when they are off leash, or who only come in certain circumstances. You will learn how to build a reliable recall from the bottom up by building your relationship with your dog through a series of games. Class is for six weeks. Cost: $160 No prior training is necessary, but your dog must be friendly towards other dogs.